See why Carson Tate, author of Work Simply, believes that recognizing your own productivity style can help you be more successful at work. As a leader in corporate outside sales, Carson Tate saw that her team kept noticing how organized she was. They even noticed that her car — her “sales office on the road” — was spotless and kept in careful order. Meanwhile, Carson was achieving or exceeding her sales goals, even when compensation plans changed and everyone else was thrown for a loop. Her team figured out that there was a clear connection between organization and success. It was on a long plane ride after starting her consultancy that Carson had a third realization: she was tired of watching her clients get increasingly frustrated as they tried to adopt ill-fitting techniques and tools with a one-size-fits-all approach. There had to be a better way. 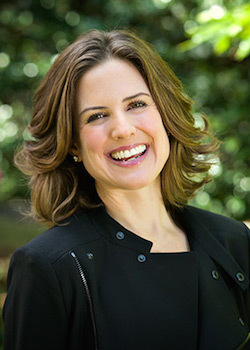 This epiphany went on to form the basis for Carson’s four Productivity Styles — which in turn became foundation of her popular new book, Work Simply: Embracing the Power of Your Personal Productivity Style, and of the consulting work she does for clients including AbbVie, Coca-Cola, Deloitte, and Wells Fargo. But there’s more than one box. In fact, when it comes to productivity styles, there are four: Prioritizer, Planner, Arranger, and Visualizer. When it comes to Carson herself, her primary preference is Planner, and her secondary is Arranger — “so I definitely merge those two styles,” she said. The Planner-Arranger combination enables her to be both an empathic, people-oriented coach and an astute analyst of processes, systems, and the interface between people and technology. That power is what comes from finally being able to identify your own style and use that knowledge to make more effective personal productivity choices. And those people who were trying to fit themselves into a single box? “The system they’ve been trying to align to fundamentally doesn’t work for them — it doesn’t align to the way they think. Once they’re able to identify and understand their thinking style preference and then align it with a productivity strategy, it’s an liberating ‘aha’ moment,” said Carson. Carson is passionate about the message of taking ownership of your style and leveraging it to be productive at work. Once you discover your style, you can’t stop there. The next step is to identify how you can harness its power at work. This is just as true for an individual who selects all of his or her own technology — like an independent consultant — as it is for an executive at a global corporation where everyone uses the same software. The key is how you use it. “When a team or an organization has embraced a technology, we’re going to customize your interface or the way you use that tool,” Carson said. For example, Outlook is widely used, but that doesn’t mean that everyone needs to set it up in exactly the same way. However, Carson isn’t likely to sit a Prioritizer down for an Outlook discussion that focuses on color-coding. If you use Redbooth and Outlook, check out the Redbooth for Outlook plugin. It makes it easy to turn emails into tasks and create new tasks right from Outlook. Carson’s clients find that these customized interventions have a significant impact — beyond experiencing the relief that comes from interacting with Outlook in a way that feels right to them. For instance, when they start customizing Outlook with strategies tailored to their productivity style, they often report decreasing the time they spend processing their inboxes, seeeing fewer messages lingering there, and feeling less stressed managing their email overall. Whether you’re writing an email, holding a meeting, or sitting down over coffee, it’s easy to understand and be understood when you all think the same way. So when Planners communicate with Planners, or Arrangers communicate with Arrangers, it feels easy and natural. But many teams — and certainly all organizations — are going to have people who represent the full range of styles. So if you’re, say, a Visualizer, how can you best communicate with a Prioritizer? For the Visualizer, this style might not feel natural. Writing just three sentences on the outcome and the facts feels abrupt…to the Visualizer. But it’s actually the best way to connect with a Prioritizer. It’s especially important to learn how to communicate with people who don’t share your productivity style when those people are decision-makers in your company. Carson recently partnered with Harvard Business Review to gather survey data on readers’ productivity styles and their positions at their companies. What it comes down to is that the people you are most motivated to communicate with — whether they’re in your organization, other organizations, or even your customers — may have a different productivity style. And being able to speak their language can make a world of difference. As you get more clarity around your own personal productivity style and the styles of your colleagues, you’re likely to find that stress at work decreases. 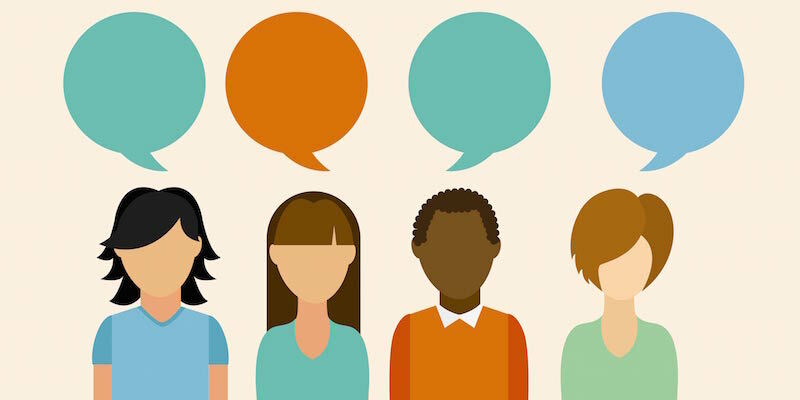 This knowledge extends to communication as well, as people realize that communication differences may simply stem from having different styles. Building bridges between team members, gaining insight and putting it to work — these are the kinds of productivity investments that will continue to pay off long into the future. Whether you’re figuring out how to work with software more effectively or writing a better email, you’re freeing up energy that you can channel into making a real impact in your work.